Starts at 8:30 AM this morning! Join us! The bulletin for the week of May 01, 2011 has been posted. Click here to see it. 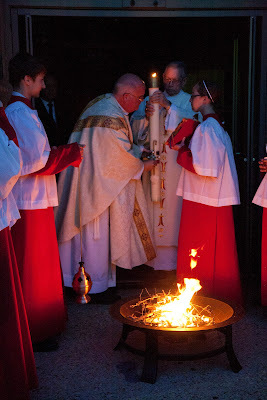 Here are some photos from Easter Vigil at St. Landry Catholic Church. Although they are posted on Facebook, you don't have to be a member or user to see them. The current week's homily is available on a link on the front page of the website next to the link for the current week's bulletin. On the page with the prior bulletins, the corresponding homily will be sitting side by side with its bulletin. We started on the anniversary of the start of the Catholic Church, Pentecost Sunday --- nearly two years ago. This week, Easter Vigil, is our one hundredth and twenty fifth! podcast to be posted. The homily is given by our pastor Father James Brady. 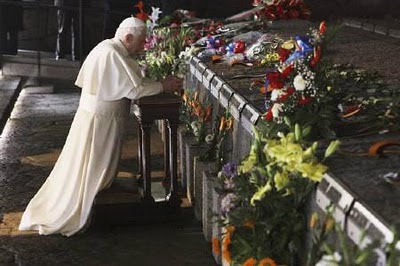 The bulletin for the week of April 24, 2011 has been posted. Click here to see it. The current week's homily is available on a link on the front page of the website next to the link for the current week's bulletin. 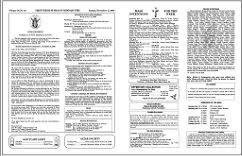 On the page with the prior bulletins, the corresponding homily will be sitting side by side with its bulletin. We started on the anniversary of the start of the Catholic Church, Pentecost Sunday --- nearly two years ago. This week, Good Friday, is our one hundredth and twenty fourth! podcast to be posted. The homily is given by our pastor Father James Brady. The current week's homily is available on a link on the front page of the website next to the link for the current week's bulletin. On the page with the prior bulletins, the corresponding homily will be sitting side by side with its bulletin. We started on the anniversary of the start of the Catholic Church, Pentecost Sunday --- nearly two years ago. This week, Holy Thursday, is our one hundredth and twenty third! podcast to be posted. The homily is given by our pastor Father James Brady. The current week's homily is available on a link on the front page of the website next to the link for the current week's bulletin. On the page with the prior bulletins, the corresponding homily will be sitting side by side with its bulletin. We started on the anniversary of the start of the Catholic Church, Pentecost Sunday --- nearly two years ago. This week, Palm sunday, is our one hundredth and twenty second! podcast to be posted. The homily is given by our pastor Father James Brady. The bulletin for the week of April 17, 2011 has been posted. Click here to see it. You may bring your Own palms to be blessed. The current week's homily is available on a link on the front page of the website next to the link for the current week's bulletin. On the page with the prior bulletins, the corresponding homily will be sitting side by side with its bulletin. We started on the anniversary of the start of the Catholic Church, Pentecost Sunday --- nearly two years ago. This week, the Fifth Sunday in Lent, is our one hundredth and twenty first! podcast to be posted. The homily is given by our pastor Father James Brady. So, take a listen and let us know what you think. Click here to download the Fifth Sunday in Lent homily from St. Landry Catholic Church, Opelousas, Louisiana. The bulletin for the week of April 10, 2011 has been posted. Click here to see it. The current week's homily is available on a link on the front page of the website next to the link for the current week's bulletin. On the page with the prior bulletins, the corresponding homily will be sitting side by side with its bulletin. We started on the anniversary of the start of the Catholic Church, Pentecost Sunday --- nearly two years ago. This week, the Fourth Sunday in Lent, is our one hundredth and twentieth! podcast to be posted. The homily is given by our pastor Father James Brady. So, take a listen and let us know what you think. 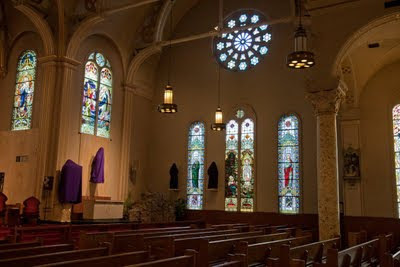 Click here to download the Fourth Sunday in Lent homily from St. Landry Catholic Church, Opelousas, Louisiana. 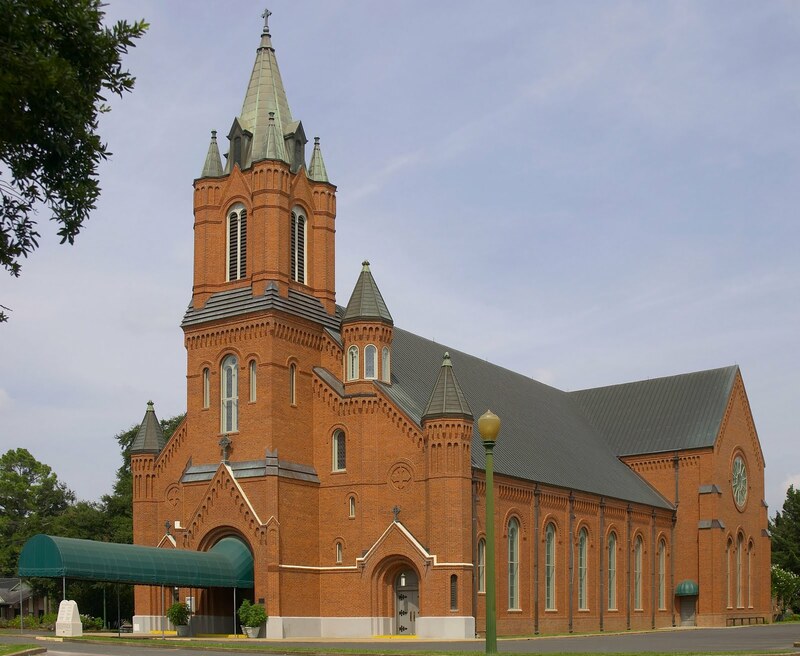 Today is the 102nd anniversary of the first mass at St. Landry Catholic Church in Opelousas, Louisiana! In 1900 a temporary church was completed. In 1902 the task of removing and clearing away the old church was started. In 1903 the foundation was formed with concrete and brick from the old church. On August 8, 1908 the cornerstone was laid. During the winter of 1908-1909 construction of the walls continued and was completed and occupied. On April 2, 1909, the first Friday of April and 102 years ago today, the first mass was said in the current St. Landry Catholic Church. The interior of the church was not completed. Father John Engberink was our pastor who built the church. Father Engberink is buried in the floor of the church near the sanctuary. Monsignor Albert Benedict Colliard followed Father Engberink as Pastor. Monsignor Colliard completed the interior. Monsignor Colliard is buried in St. Landry Cemetery near the cross. Monsignor Broussard was the pastor following Monsignor Colliard. Monsignor Broussard in 1963 had the interior of the church redecorated and air conditioned. General Intention: That through its compelling preaching of the Gospel, the Church may give young people new reasons for life and hope. Missionary Intention: That by proclamation of the Gospel and the witness of their lives, missionaries may bring Christ to those who do not yet know Him.